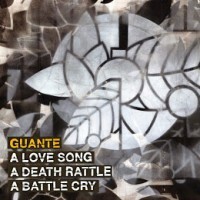 Critically acclaimed hip hop artist, two time National Poetry Slam Champion, social justice activist, educator and writer, Guante will be at the St. Cloud Public Library Saturday, July 18 from 1:00-3:30 p.m. in the Bremer Community Room. From 1:00 to 2:00 p.m. he'll be hosting an Introduction to Spoken-Word Poetry Workshop where he'll pass along tips of the trade. Afterwards, join us for an amazing performance by one of the biggest up-and-coming artists in hip hop today. You don't want to miss this opportunity!